The first-ever combat mission of the only Russian aircraft carrier has drawn much attention from NATO, the chief of the Russian Navy said. A group of Russian warships headed by aircraft carrier ‘Admiral Kuznetsov’ was deployed to the Mediterranean Sea in mid-October to assist in the Syrian mission. “It’s the first time since the aircraft carrier was built that we use our Navy aviation in a combat environment. Of course, it draws attention, particularly from NATO members,” Admiral Vladimir Korolyov told Rossiya 24 news channel. “Up to eight ships shadowed us as we passed Great Britain. But there were no violations of the international laws of the sea,” he added. The ‘Admiral Kuznetsov’ is accompanied three other Russian warships and several support ships. The Su-33 and MiG-29 warplanes the carrier has on board have been used to attack terrorist targets in Syria’s Idlib and Homs governorates. 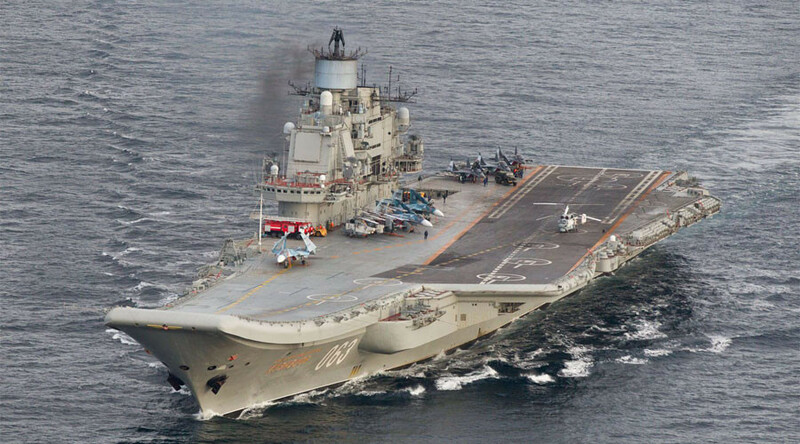 According to Korolyov, the Russian carrier group’s mission was not hampered by NATO effort to deny it resupplying in Malta and the Spanish enclave Ceuta near Morocco. “All our missions, including the one of the aircraft carrier groups, are planned to be independent in terms of supplies and transit logistics. So there were and will be no issues with that,” he said. 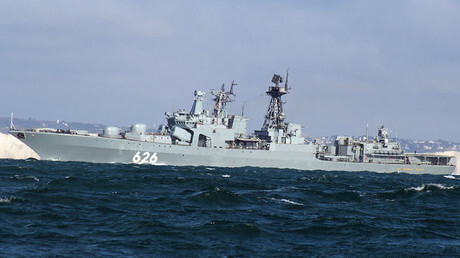 The Russian pilot naval mission in the Mediterranean sparked media hype in some Western nations, particularly in the UK, where reports depicted the passage of the Russian warships as a significant threat to national security. The mission has been marred by the embarrassing loss of two fighter jets. One went down in November, when arrestor gear on the carrier broke down and the deck crew failed to fix it before the aircraft ran out of fuel. The second one this week slid off the deck during landing, when the arrestor gear line snapped and failed to stop the aircraft. In both incidents the pilots ejected and were rescued from the sea.